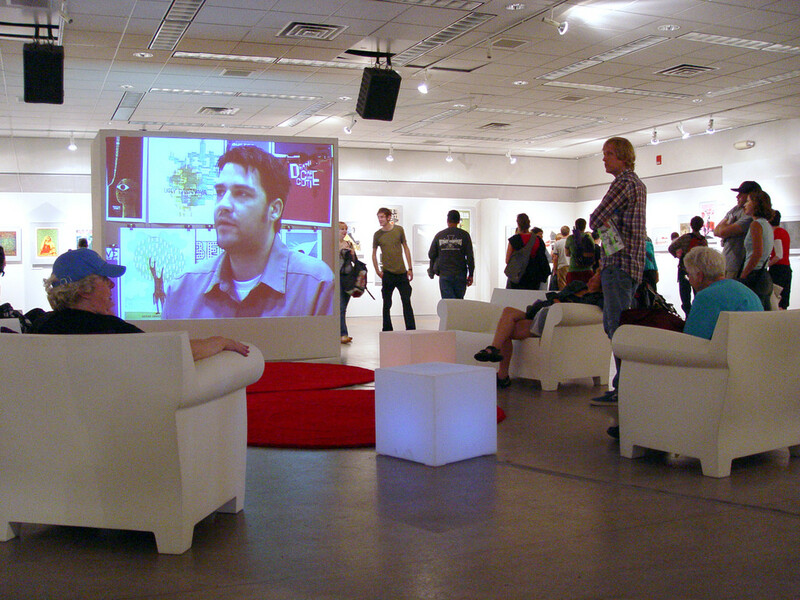 Visitors watching one of the exhibit films. 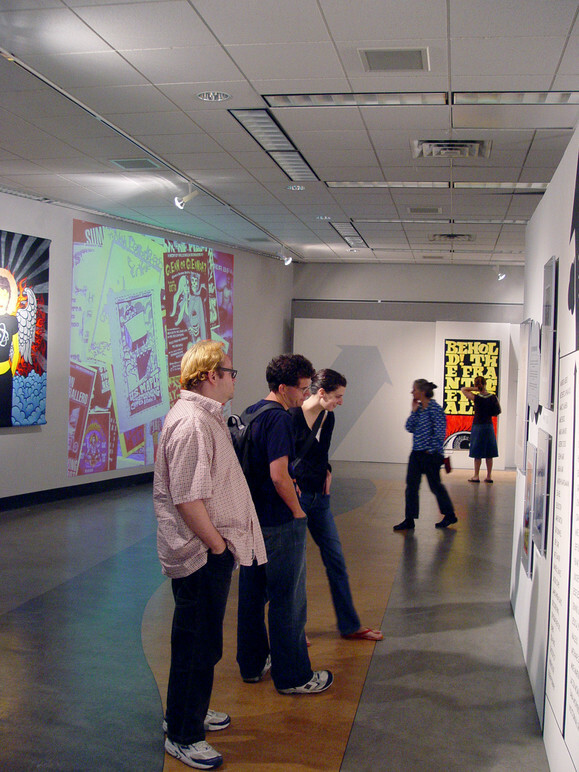 Visitors looking at some of the posters on display. 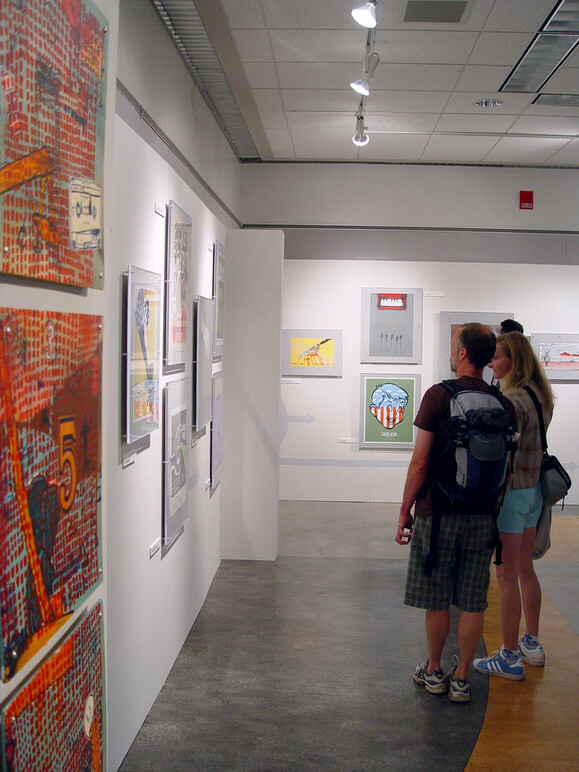 Visitor looking at the exhibition title wall. 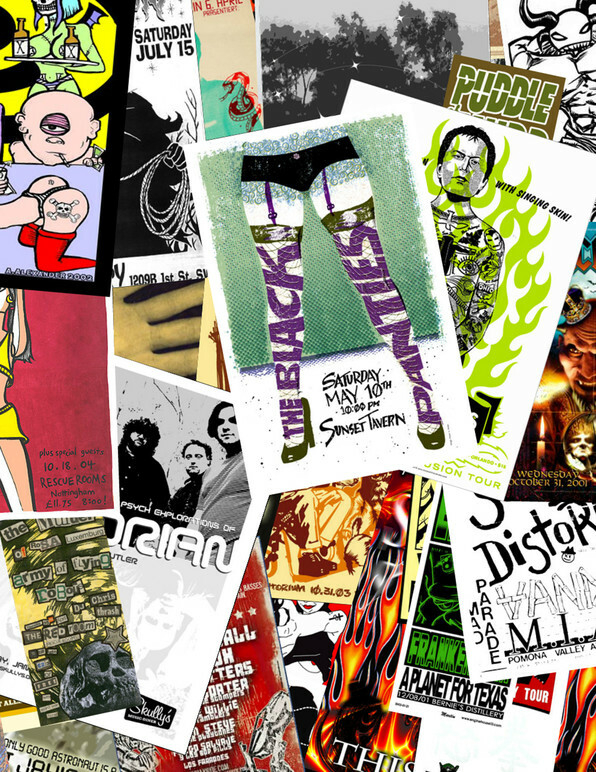 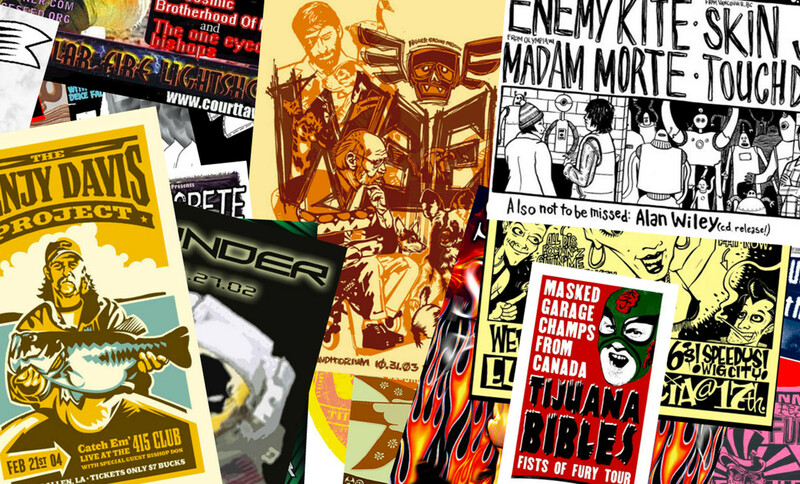 “Art of Modern Rock: The Poster Explosion” opened at Bumbershoot Arts Festival in September, 2005. 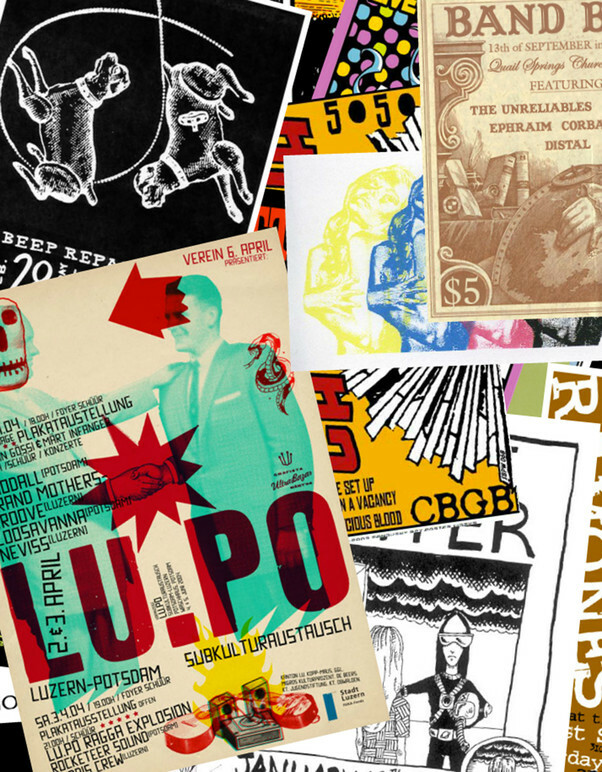 The show focuses on the recent renaissance in poster-making. 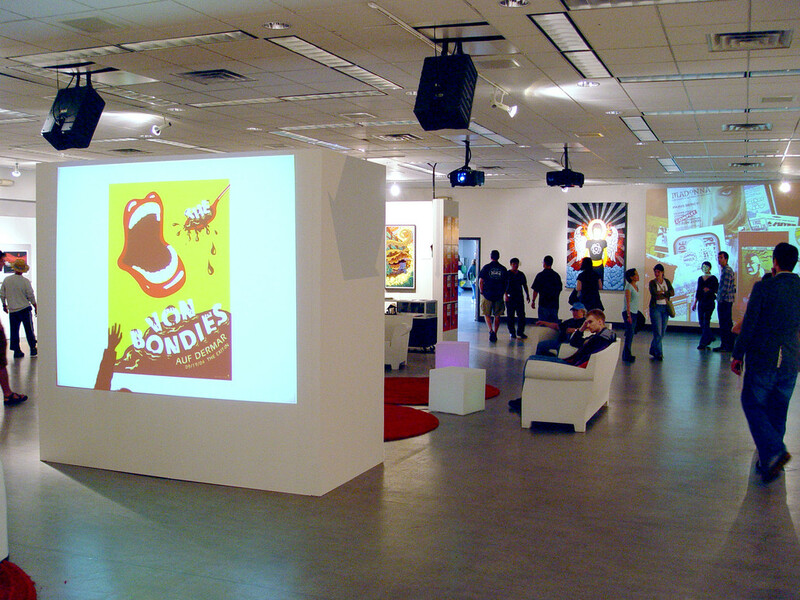 The story is told through thematic sections and integrated a/v projections throughout the exhibit space. 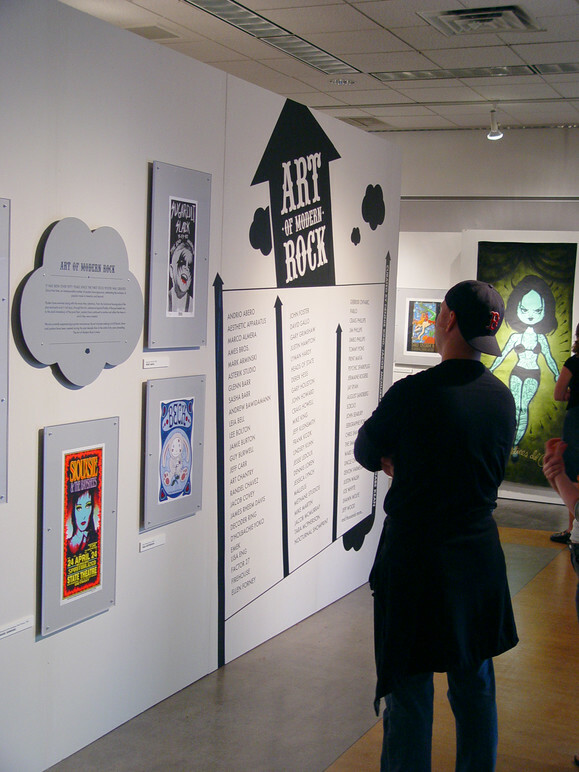 The exhibition included a short documentary film about the artists, their style, their scene, and the recent explosion. 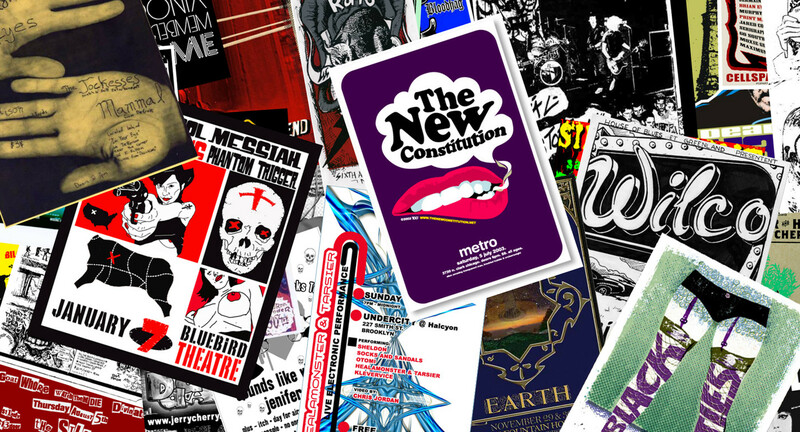 “Poster engines” (projected media) were developed to show the size and diversity of the movement. 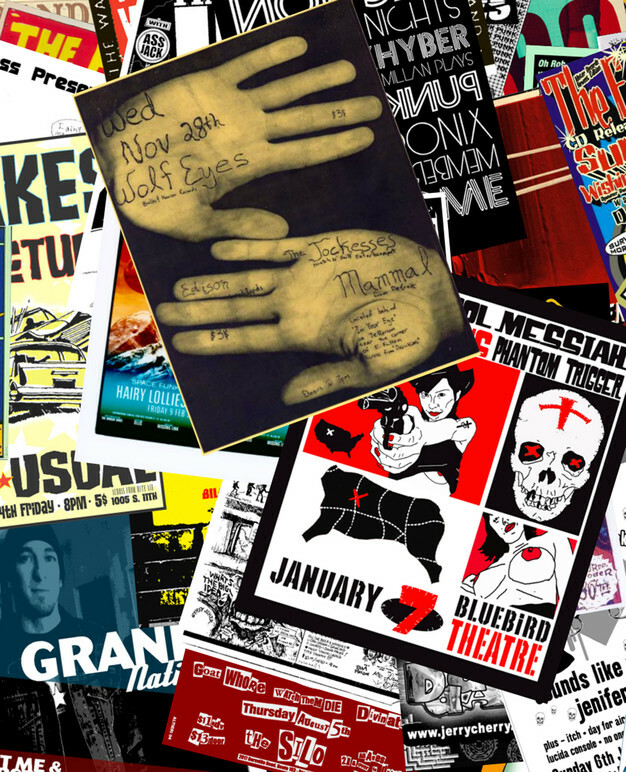 One engine dynamically displays a layering of 40,000 posters while the other demonstrates silkscreen image compositing.